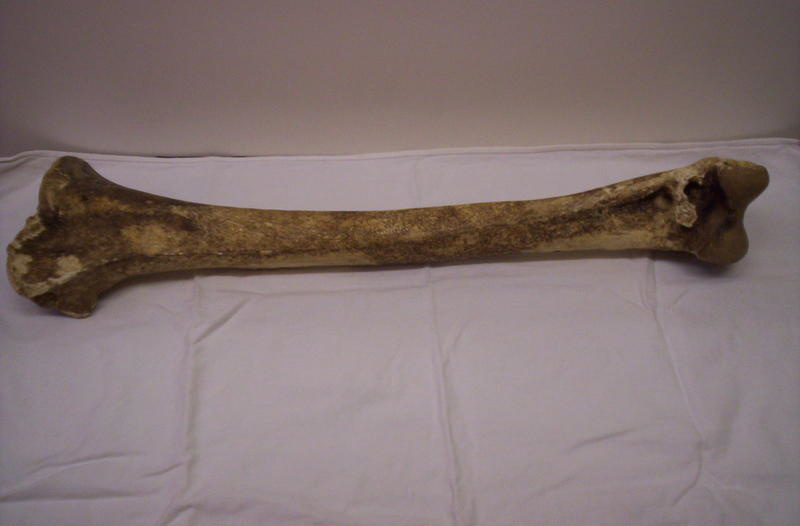 A tibia bone from a heavy footed moa. 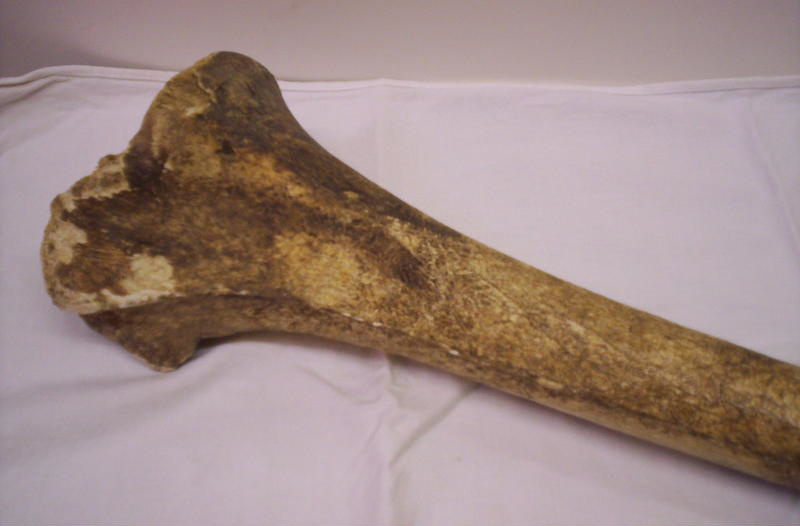 A (ex local) PhD student was interested in looking through our Moa bone collection to determine what species the various remains belong to and came up with some very interesting results regarding the history of the heavy footed moa for North West Nelson/West Coast, in contradiction to fossil evidence. Based on fossils, heavy footed moa moved into North West Nelson/West Coast area at the height of the last glacial period. However, genetics suggest that this movement did not take place and those fossils that are being seen are closely related to the Crested moa. There are however a few genetically heavy footed moa on Takaka Hill (rare migrants going walkabout), thus making our heavy footed moa bone an important sample.